German tour operators had the chance to learn more about Greece’s travel offerings during the Greek National Tourism Organization’s “Roadshows” series which was recently held in 10 cities across Germany. The GNTO office in Frankfurt teamed up with TUI Germany for the Roadshows campaign which was held in Kempten, Nürnberg, Konstanz, Heidelberg, Hannover, Hamburg, Mönchengladenbach, Dortmund, Zwickau and Magdeburg between March 30 and April 14. Besides getting “inside info” on the hottest spots to visit in Greece, the latest trends and the secret destinations, participants also had the chance to sample Greek delicacies made of local ingredients. 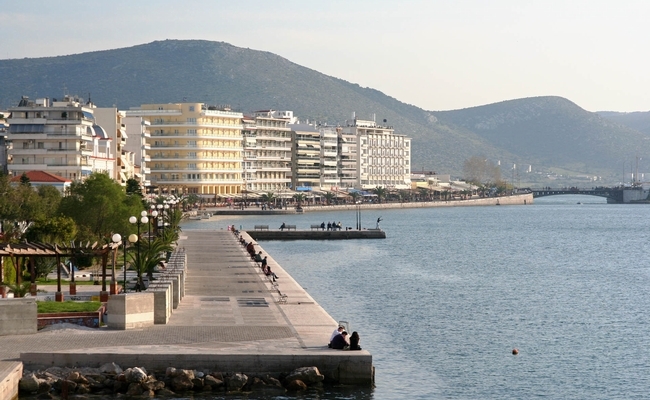 The 10-city campaign focused on promoting Greece as a year-round destination. In the meantime, back in Greece, German travel agents had the opportunity through a collaborative GNTO Germany – Central Greece Region initiative to travel to the seaside town of Halkida on the island of Evia, where they visited archaeological and cultural sites, met local producers and tried out their goods before meeting up with other colleagues in a series of B2B meetings.